Dubai, United Arab Emirates, 26 May 2018: DP World, UAE Region’s flagship Jebel Ali Port has underlined its position as the leading port in the region by winning the “Best Seaport – Middle East” award at this year’s Asian Freight, Logistics and Supply Chain Awards in Shanghai, China. This is the 24th consecutive year Jebel Ali Port has won the coveted honour, a record achievement in the history of AFLAS Awards. The award was received by DP World Officials at a ceremony attended by leading businesses in the maritime transportation, supply chain and logistics and trade sectors. Sultan Ahmed Bin Sulayem, Group Chairman and Chief Executive Officer, DP World, said: “Winning this award confirms again our commitment to our customers, people and stakeholders. Quality of service has built a legacy of trust and a way of winning that has brought us global recognition and we will continue to build on that approach. Our strategy is driven by innovation, expanding our knowledge and investing in new technologies that make trade faster and better. As the flagship of global trade enabler DP World, Jebel Ali Port has cemented its position as a leader in maritime trade, ranking as the tenth largest container port in the world. It has also been ranked as the best in productivity servicing a market of over two billion people. 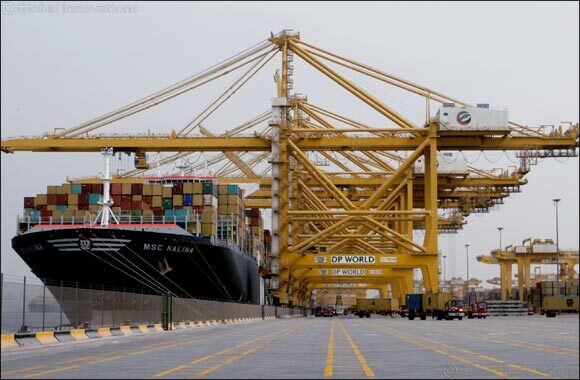 Jebel Ali is also ranked among the most technologically advanced container ports globally and is one of the few in the Middle East that can berth new-age ULCV vessels with capacities of over 20,000 TEU. The AFLAS Awards are organised by Asia Cargo News and are held annually. They honour top industry performers in the air and shipping transportation sector recognising businesses that set new standards in leadership and service quality over the past year.